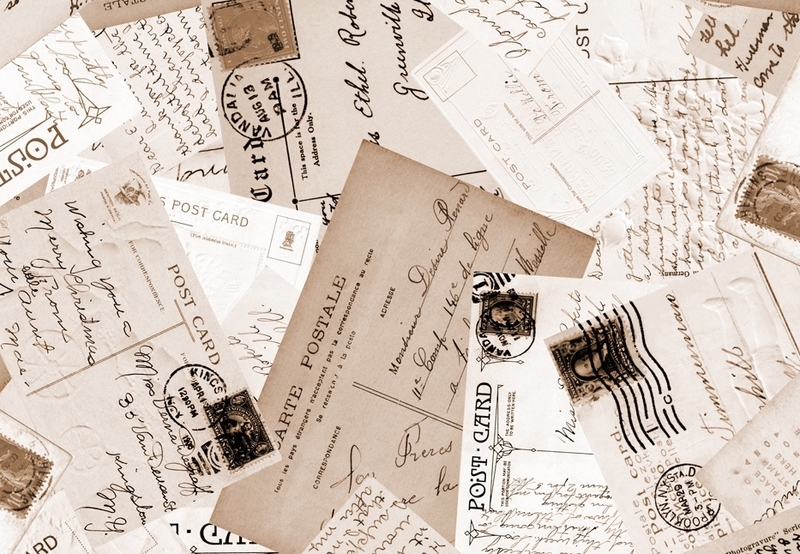 When was the last time you received a postcard? I’m guessing it was a treat to find something glossy and multi-coloured in amongst the bland pile of bank statements and junk mail. If it was unexpected then I’m also guessing it may have brought a smile to your face or even brightened up your day. The days when postcards from our nearest and dearest frequently popped through our letterboxes seem to be all but over. Instead we can see a whole plethora of holiday photos on the internet, through Facebook or email. Years ago, long before the internet and the ability to see any part of the world at the click of a button, the postcards you received were key to understanding what other cultures and countries physically looked like. Books and the television obviously played a big part, but the postcard, first created in 1871, was one of the first pillars of international tourism. Catching a glimpse of the beauty that lay in waiting across the Channel doubtlessly propelled many people to opt for holidays abroad. This has all now changed however. We’re so au fait with photos taken abroad that the practice has lost its appeal to many people. The postcard, similar to the hand-written letter, is heading towards obsoleteness. But why should it? I admit that the internet may be far speedier and safer (especially in comparison with the Cuban postal service which, admittedly, is far better left well alone), but a postcard is so much more personal. For your eyes only. A postcard isn’t simply a pretty picture and a summary of the sender’s holiday, it’s so much more than that. It’s the fact that that sender, despite the countless wonders and distractions surrounding them in their far-flung destination, has taken the time to think of you, and has wanted to generously share their experience with you. A postcard is the desire to include you in the magic that they’re living, to invite you into that world by bestowing a singly, carefully hand-picked image that will enthuse your imagination. The note on the back adds the personal touch, giving the picture a story and bringing the scene or landscape to life. In essence, that is the beauty of a postcard, which should not be forgotten or relegated into the archives of time like the quill or the telegram. By all means take a digital camera and share your photos online, it is a great deal more efficient, but take a moment out of your holiday to browse a postcard stand, to deliberate over which postcard suits which family member best, and to share that moment with people who’ll appreciate it.